Helps increase hair density strength and manageability. 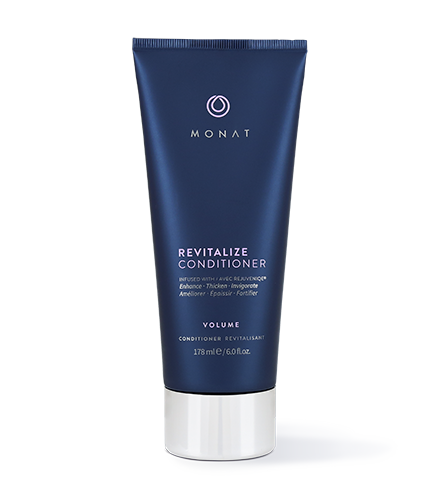 To learn more about Revitalize Conditioner, please contact your MONAT Market Partner. A gentle volumizing conditioner for fine and limp hair that penetrates and nurtures the scalp. Delivers moisture and vital nutrients to aid in plumping and energizing hair from roots to ends. Fine, flat hair is left touchably soft and shiny. Safe to use on colored and/or chemically treated hair and extensions. Is your conditioner weighing you down? 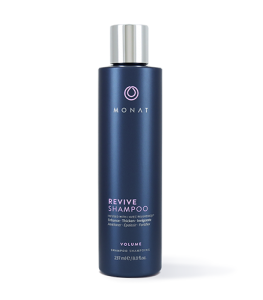 MONAT’s Revitalize Conditioner will transform fine and limp hair into an envy-worthy coif. How, you ask? Rather than coating the surface of hair in heavy silicones and chemicals, which can make manes less-than-bouncy, our formula penetrates deeply, nurturing the scalp and boosting natural growth. 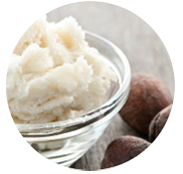 Its formula contains vital nutrients that plump and energize hair from roots to ends, leaving it touchably soft and shiny. For best results, follow with MONAT Reshape Root Lifter. Water, Cetyl Alcohol, Behentrimonium Methosulfate, Butylene Glycol, Cinnamidopropyltrimonium Chloride, Polyquaternium-7, Pisum Sativum (Pea) Extract, Acetyl Tetrapeptide-3, Trifolium Pratense (Clover) Flower Extract, Limnanthes Alba (Meadowfoam) Seed Oil, Crambe Abyssinica Seed Oil, Camellia Oleifera Seed Oil, Solanum Lycopersicum (Tomato) Seed Oil, Daucus Carota Sativa (Carrot) Seed Oil, Citrus Limon (Lemon) Peel Oil, Citrus Aurantifolia (Lime) Oil, Citrus Aurantium Bergamia (Bergamot) Fruit Oil, Adansonia Digitata Oil, Mauritia Flexuosa Fruit Oil, Cocos Nucifera (Coconut) Oil, Gardenia Tahitensis Flower Extract, Moringa Oleifera Seed Oil, Caryocar Brasiliense Fruit Oil, Helianthus Annuus (Sunflower) Seed Oil, Daucus Carota Sativa (Carrot) Root Extract, Glycerin, Tocopherol, Dextran, Propanediol, Fragrance, Amodimethicone, Trideceth-12, Propoxytetramethyl Piperdinyl Dimethicone, Cetrimonium Chloride, Trideceth-6, C11-15 Pareth-7, Phenethyl Alcohol, Undecyl Alcohol.